Prime Minister Dr. Rui Maria de Araújo this morning officially launched the new Maritime Boundary Office website. 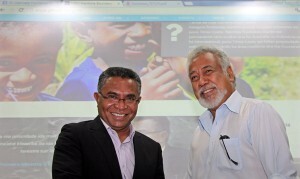 The new website is an important tool to help Timor-Leste in its pursuit of permanent maritime boundaries. It is a comprehensive online platform detailing why Timor-Leste is pursuing maritime boundaries and looks at the many existing treaties in the Timor Sea, as well as the United Nations Convention on the Law of the Sea. Timor-Leste shares maritime boundaries with Indonesia and Australia and yet those boundaries have yet to be established. 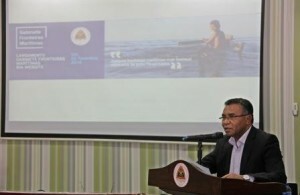 Achieving permanent maritime boundaries is a national priority for Timor-Leste – it is the final step in Timor-Leste’s journey for sovereignty and independence. The website is completely trilingual, in our official languages Tetun and Portuguese and English for our international audience.